We've got less than two weeks before Melania Trump becomes the First Lady of the United States, so many of us are spending this time loving up on Michelle Obama. The outpouring of gratitude has been incredible and the love fest continued on The Tonight Show with Jimmy Fallon. 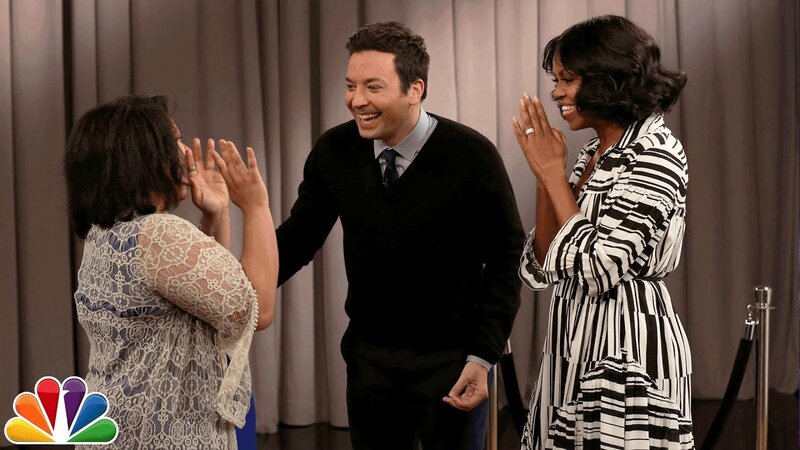 While a variety of people came to offer words of appreciation for Mrs. Obama, she and Fallon hid in the background. When they finished, she popped out to surprised each one. What happens next is heartwarming, and reminds us of just how sad we're going to be for the next four years.